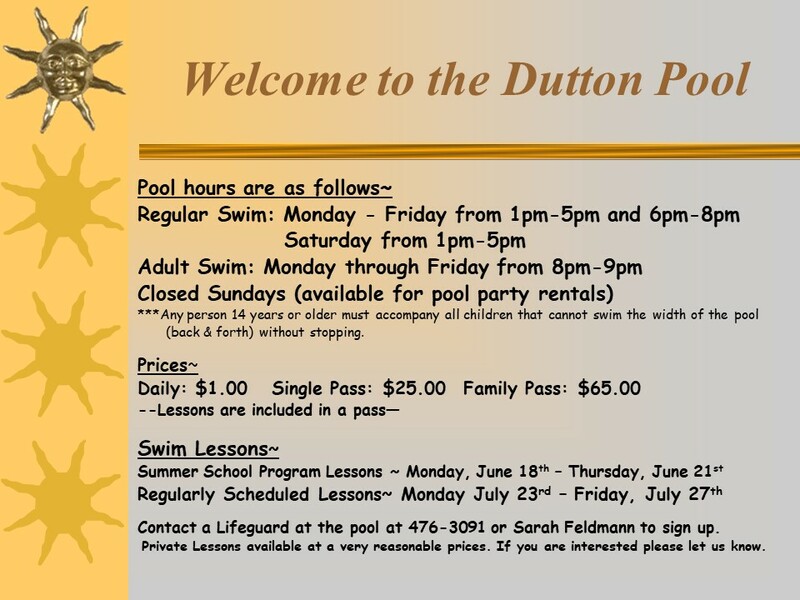 The Dutton swimming pool is a great place to cool off and have fun with the kids. We offer swimming lessons, both group and private, as well as private parties. Join us this summer for loads of fun!